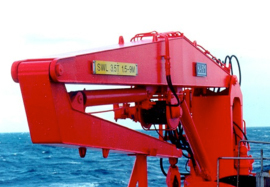 We manufacture deck cranes for offshore support vessels . The cranes can be fix MOB cranes or cargorail cranes. The hydraulically driven deck cranes with capacity up to 30tons at 20m. The cranes is delivered both with monobox, knockle or telescopic jib type. Typical operated by remote control system. 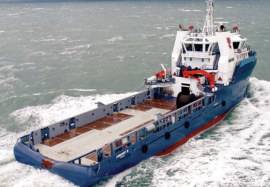 The A-frames can be delivered with integrated winches and powerpack.